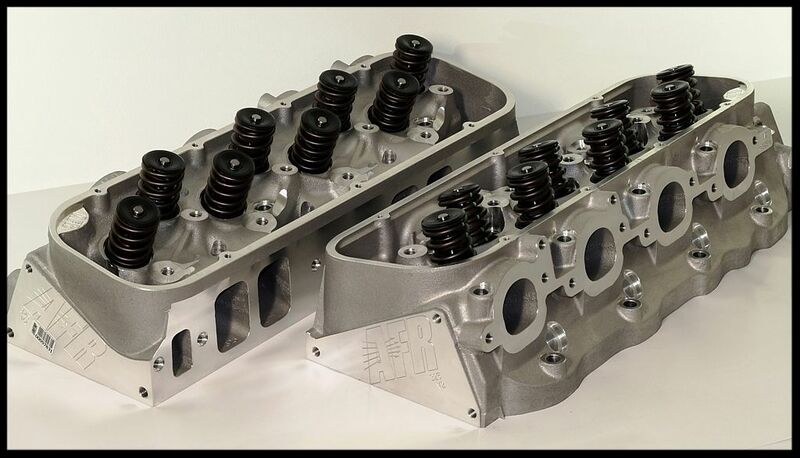 AFR MAGNUM 377cc RUNNERS 121cc CHAMBERS FULLY CND'D ALUMINUM HEADS. AIR FLOW RESEARCH 10 DEGREE TITANIUM RETAINERS. The springs in this setup operate with hydraulic roller cams up to 725 lift. This sale is for the a set of BBC 377cc heads setup for hydraulic roller cams. We suggest using these heads on setups coupled with cams in the 580-640 lift range. 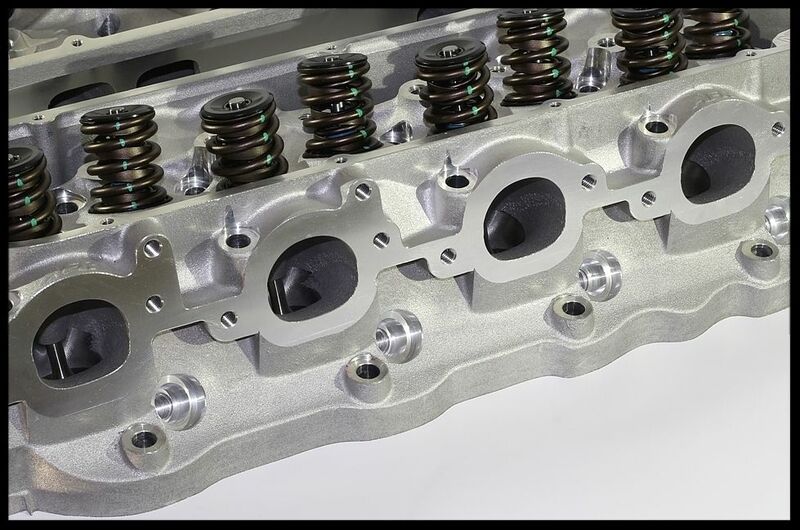 These heads will most likely prevail best on 496 and larger cubic inch engines. STD TENSION 175lb SEAT PR. 505lb OPEN AT 7.25 LIFT. #8002 HYD. ROLLER SETUP.